Hotel Alpenrose is located 0.1 miles from the bus stop, and 1.6 miles from the center of Scena. 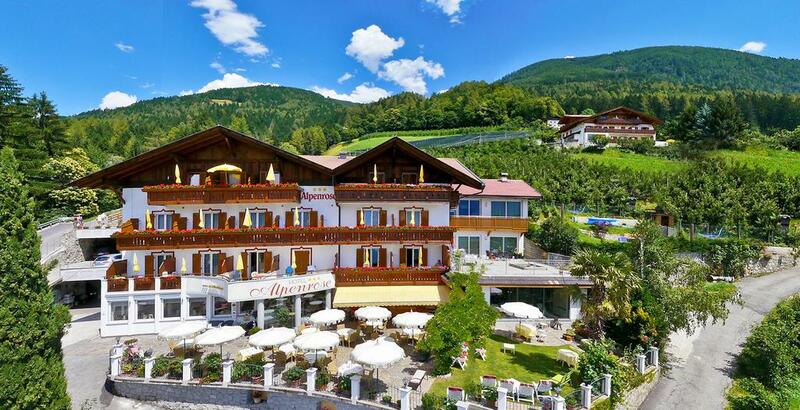 This family-managed hotel is nestled at an altitude of 700 metres, and boasts exciting views of the mountains and Merano in the distance. 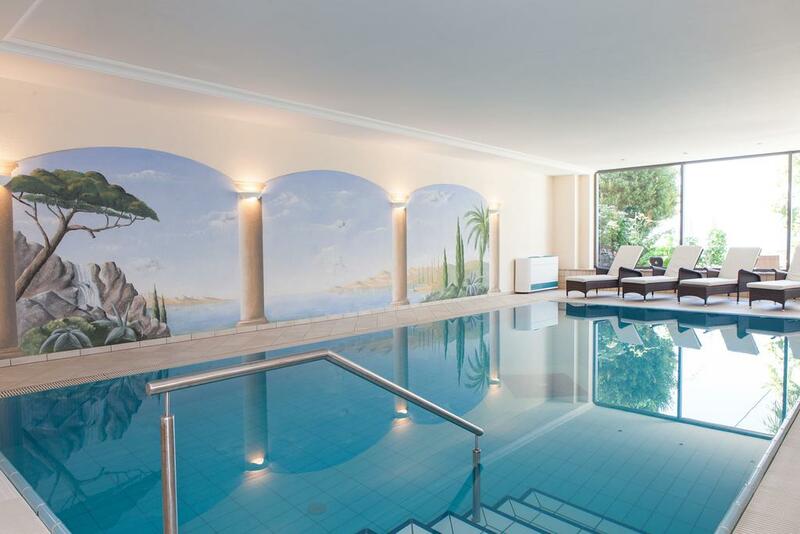 Hotel Alpenrose features a garden with sun loungers, umbrellas, and outdoor swimming pool, sun terrace and a spa center with an indoor pool, Finnish sauna, steam bath and infra-red cabin. The breakfast buffet is served on the terrace, including different types of bread, cold cuts, homemade jams, cheese, juices, yoghurt and fruit. 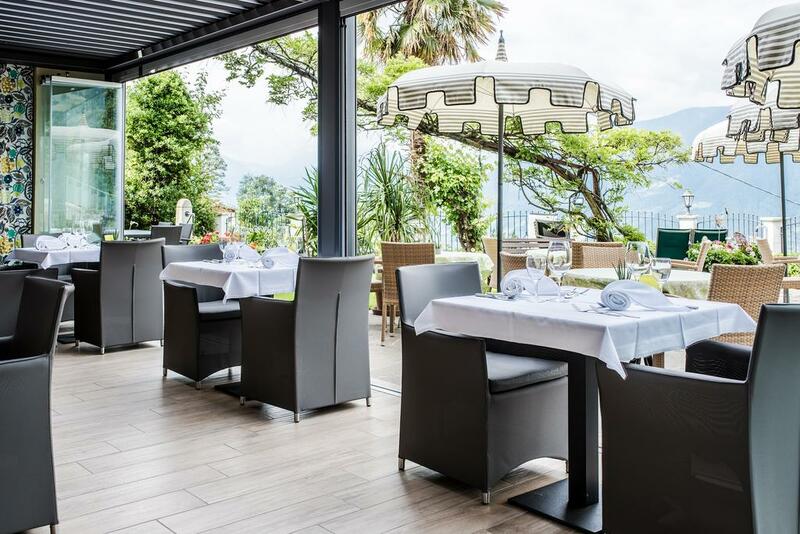 All rooms at pet friendly Hotel Alpenrose offer a furnished balcony, parquet or carpeted floors and wooden furnishings. 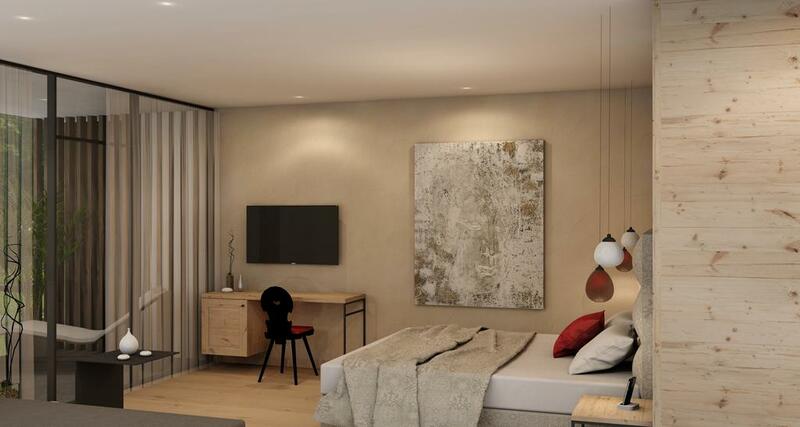 Modern, Alpine-style apartments also include free Wi-Fi and an LCD TV with satellite channels. Hiking tours are organized once every 2 weeks, and free private parking is available on site. 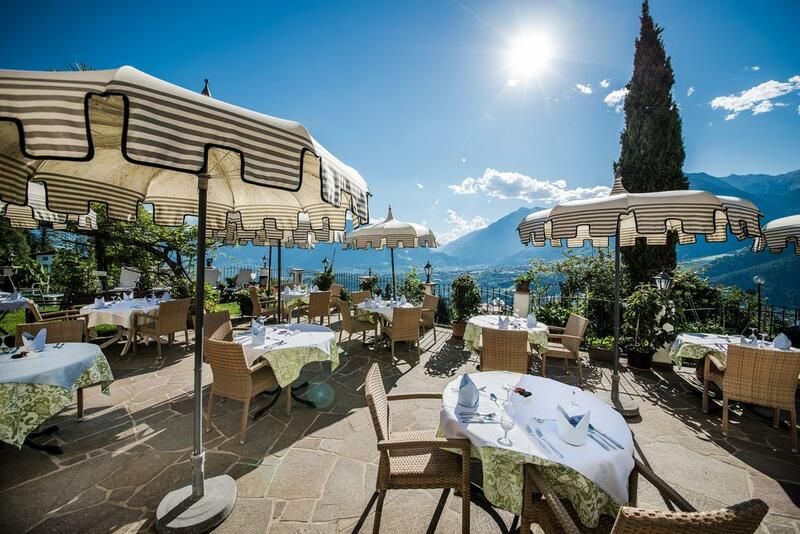 The on-site restaurant features a terrace, and serves both regional South Tyrolean and classic Italian cuisines. This property is located in: BZO, Bal'cana, Bauzanum, Bocen, Bocenas, Boceno, Bol'cano, Bolcano, Bolzan, Bolzano, Bolzanu, Bozen, Bozen-Bolzano, Bozn, Bulsaun, Buzzanu, Mpoltzano, bo er cha nuo, borutsu~ano, bwlznw (Trentino-Alto Adige, Italy). I am interested in other Vacation Rentals from Italy. I am interested in other Properties from Italy. New to Real Estate & Property Listings Europe?